WOW HITS 2020: WHAT’S YOUR PREDICTION (PART 3)? Hi everyone, how has your week been? Seeing that it’s the beginning of March, and it’s been about a few months since we posted our second WOW Hits 2020 prediction, it’s time for us to yet again predict the track list for WOW Hits 2020. So without further ado, here’s my third stab at the tracklist for WOW Hits 2020. Anyway, stay tuned to more predictions within the next few months! Happy predicting! WOW HITS 2019: WHAT’S YOUR PREDICTION (PART 4)? A couple or so months away from the official track listing of WOW Hits 2019…then again, now is May and the track listing will be released around August time I reckon. So, with reference to hits and everything that has been released til now, what do I reckon should be on WOW Hits 2019? Read on to find out. Happy predicting! You can also read about our previous predictions, here, here and here! Around a year ago I released my predictive list of who I reckon would have been recognised at the 2017 Dove Awards. While many predictions were spot on, others were wayward, but like with any prediction, figuring out what are the biggest songs, albums and everything else within the year can be a big feat. And its obvious nominations will always favour some artists and bypass others. That’s just the nature of it. And so, you can see the official nominations and the winners of the 2017 Dove Awards on the official website. And right now, what is the time again? Yes, around this time last year we posted Dove Award 2017 predictions (not for every category, but for a handful), and so around this time in March 2018, we unveil a handful of Dove Award 2018 predictions. Yes, I’m sure some predictions of ours will be wide of the mark, but I’m sure others will be spot on…just not sure which will be which. WOW HITS 2019: WHAT’S YOUR PREDICTION (PART 2)? Like it or not, WOW Hits is pretty much the most talked about Christian album release each year. Every year around September/October, we see Capitol CMG, Word Label Group and Provident Label Group come together to release a compilation of that year’s most charted music. And thus we are into the year of 2018 (just in the first week of January) and what does this mean? That the date for WOW Hits 2019 is coming closer. And with new songs releasing as singles from artists both new and old coming out each week, we as a site thought it would be fitting to start off 2018 with a WOW Hits 2019 prediction (our first prediction of WOW Hits 2019, which we released at the end of October 2018, can be viewed here!). Below are 39 songs that are currently getting success (or some that I think could get success in the future) that I think are shoe-ins for WOW Hits 2019 if it was collated now. But who am I to think that this version is final? There’s another 6-7 months before the official list releases. 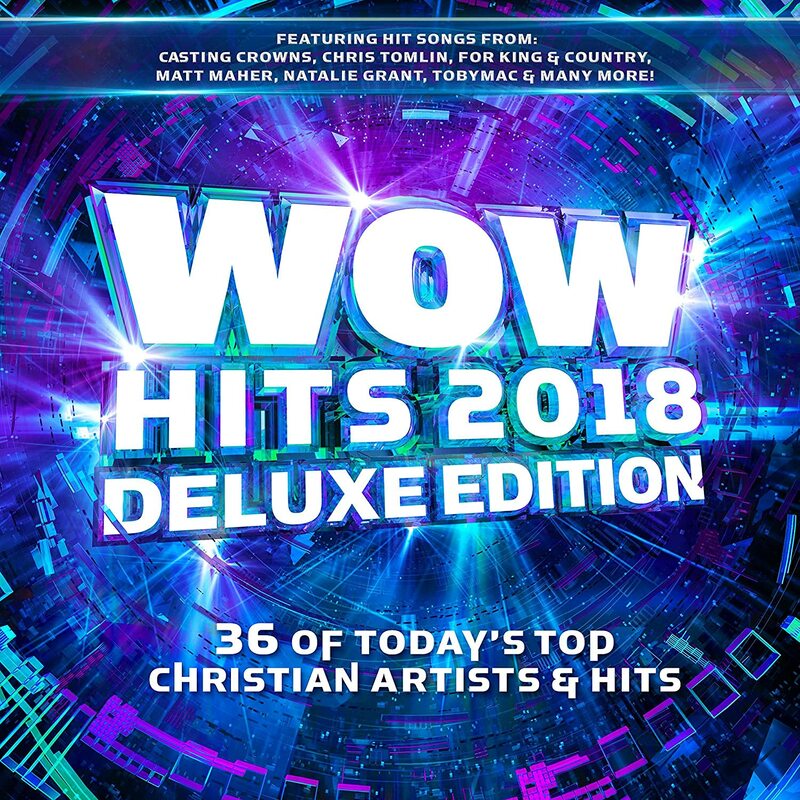 And I’m sure by that time, artists like Chris Tomlin, Francesca Battistelli, for KING AND COUNTRY, Brandon Heath, Third Day, MercyMe, Matthew West and Newsboys (all of which are absent from this WOW Hits 2019 prediction) are sure to be included in the official WOW Hits 2019 track list…so I guess, this list that I’m about to unveil is far from perfect…but it’s very solid if the WOW compilation were to be made now. Thus, what I have said before still stands now- maybe not just one 2 disc compilation at the end of the year cataloging the year’s best in CCM? Maybe 2 volumes (each with 2 discs) per year? Without further ado, here below is 365 Days of Inspiring Media’s second track list prediction for WOW Hits 2019, slated to release sometime in September/October 2018! WOW HITS 2019: WHAT’S YOUR PREDICTION (PART 1)? Hi everyone, how has your week been? Seeing that it’s late October yet again, and this time last year, we posted our first WOW HITS 2018 predictions, it’s time for us to predict…you guessed it, the track list for WOW Hits 2019. In fact, I’m sure you all are thinking about which songs are shoe-ins for next year’s compilation even now! 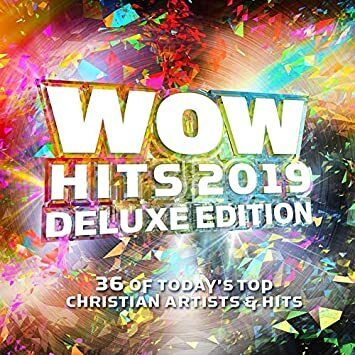 Because, let’s be frank and honest here, WOW Hits has always been and will always be the most talked about Christian compilation album released in any year. So, what better time than now to make a prediction of WOW Hits 2019…sure probably half of my predictions will be correct (or maybe even less than half)…but, who knows. WOW Hits has always been known for placing dated songs on the annual WOW albums… So without further ado, here’s my stab at the tracklist for WOW Hits 2019. Some are independent artists, some are signed, some songs aren’t singles (yet! ), but mind you, all of this is just speculation! Anyway, stay tuned to more predictions later this year and into next year! Happy predicting!